Timothy is a sweet and charming young teenager. He is energetic, playful, and a little girl-crazy, but what budding teen isn’t? Timothy struggles with staying on task and can get frustrated quickly, but he responds really well to positive reinforcement. His forever family will need to be able to continue to attend counseling and speech therapies, as well as monitoring his vision and hearing impairments. Timothy needs a loving and supportive home that provides structure and consistency. 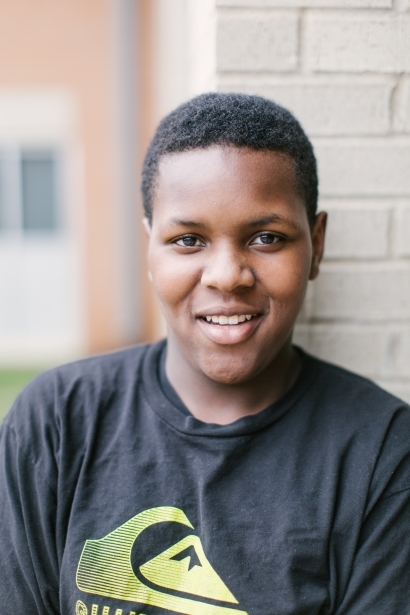 If you want to win Timothy’s heart, start with a meal where you can listen to his stories and make sure he has his favorites – chicken and Rice Krispies. For more information about Timothy, inquire below.